BETHESDA, Md. (WUSA9) -- A car drove into the Bethesda Art Metal Works building in Bethesda Tuesday, according to Montgomery County fire officials. The accident happened on the 4900 block of Bethesda Avenue. Officials say no injuries have been reported but the accident caused structural damage to the building. No information has been released about the cause of the accident. BETHESDA, Md. (WUSA9) -- Metro riders who use the Bethesda station should have an easier ride to the rail platform Monday. The first of three new entrance escalators is now open. The new escalator has a rise of 106 feet, making it the second longest escalator in the Western Hemisphere. The escalator behind the Wheaton station is the longest. It took crews took nine months to tear out the old escalator and replace it with the new one. Long before the White Flint mall closed in January it already was showing serious signs of age. About half a year after it closed, video shot by a photographer reveals how damaged the mall is now. This video shot in June and uploaded to YouTube by Mike Purks tells the erie story of how fast this once busy mall has deteriorated. Purks says he used a drone and a GoPro camera to shoot the video. Inside the mall, the video shows loose wiring, broken glass and knocked down walls. One destroyed landmark in particular is the old Dave and Buster's movie marquee, which is now mostly on the ground. The White Flint mall was built in 1977 and closed earlier this year. The land will be redeveloped into a town center, following the national open air shopping center trend across the country. BETHESDA, Md. (WUSA9) -- A member of the Maryland House of delegates who represents part of Montgomery County was arrested last month and charged with indecent exposure and trespassing, according to court documents. Delegate Ariana Kelly (D-16) allegedly flashed her breasts at her ex-husband after she saw his fiance inside his home. The incident happened while Kelly was dropping her children off to her ex-husband, the records say. Kelly, 39, faces trial next month. She represents the 16th district, which includes Potomac and parts of Bethesda. BETHESDA, Md. (WUSA9) -- A camp counselor at Holton-Arms Creative Summer Camp in Bethesda has been charged for inappropriately touching an 11-year-girl, according to Montgomery County police. Jose Luis Casumbal Valenzuela, 43, of D.C., worked as a camp counselor teaching magic classes at the all-girls school located on River Road in Bethesda. Police say Valenzuela, who is known as "Jolly the Magician," used the 11-year-old as a part of his acts. BETHESDA, Md. 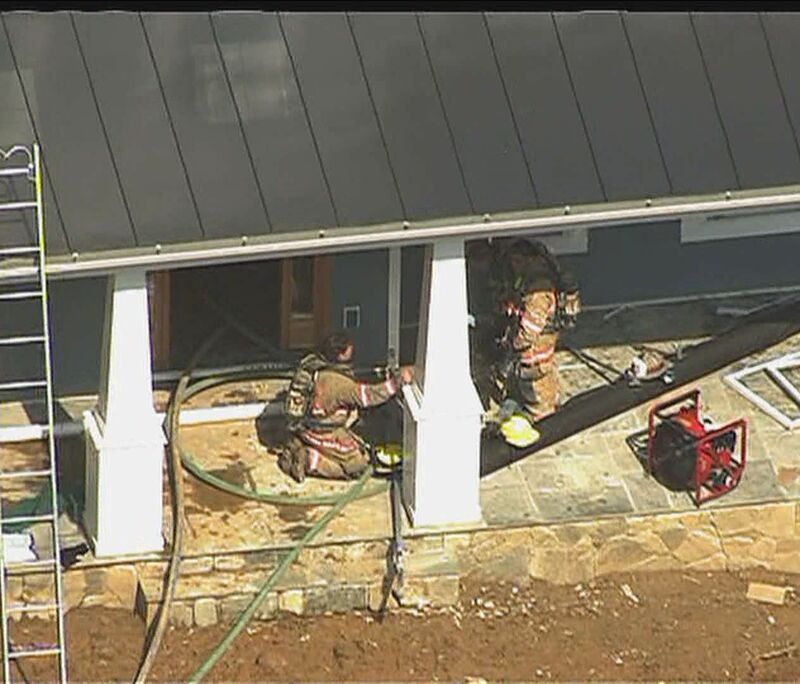 (WUSA9) -- A man has burn injuries after a house fire in Bethesda Tuesday morning, Montgomery County Fire and Rescue said. The fire happened inside of the basement of a single family home located at 8504 Howell Road, officials said. The house was under construction. The worker has burns to the face, hands and arms, according to reports. He is being transported as a priority two patient and has non-life-threatening injuries. Montgomery County Fire and Rescue crews responded to the fire. BETHESDA, Md. (WUSA9) -- A Bethesda woman is among the more than 600 children rescued during WWII by Nicholas Winton, who is best known as the "British Schindler". In 1939, Alice Masters was a teenager living in a small then-Czechoslovakian town with her parents and two sisters. "In the winter we skated and skied. We had a wonderful childhood. It was a village life, and I loved everything about it," Masters said. But Hitler's army was steadily making its way into Europe. In Germany, his men had already carried out deadly attacks on Jewish homes and businesses –Masters' family was Jewish. Her parents were worried, but one of Masters' uncles, who was living in London, told them about a man named Nicholas Winton, who had something to do with getting children from Prague to London.